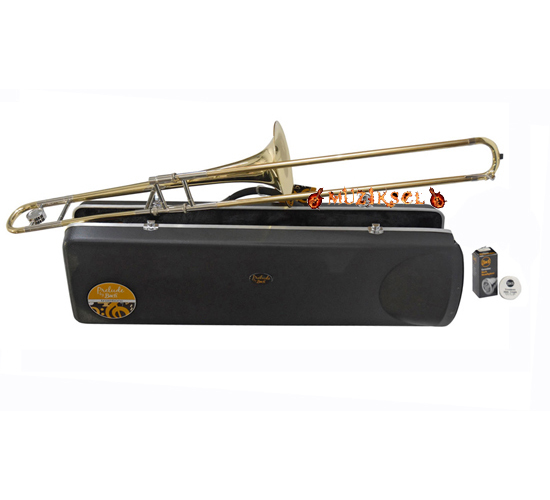 Produced by Conn-Selmer, the world's largest maker of wind instruments, the Prelude trombone features a balanced design that enables a comfortable instrument position for the younger player. The .509" medium bore is designed for ease of tone production while allowing for proper embouchure development. Chrome-plated brass inner slides are durable and provide smooth action. 8" two-piece yellow brass bell. Supplied in Canvas, Lightweight case with Vincent Bach mouthpiece and accessories. Ön bilgi ve sipariş için lütfen müşteri temsilcisi ile görüşün.